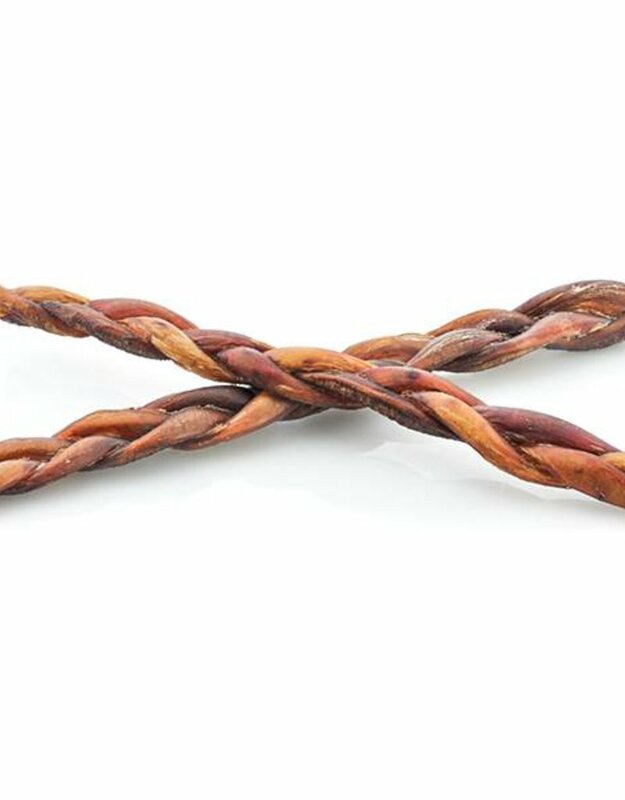 Available individually or in a cost-effective 8oz value bag containing 3-4 bully braids. 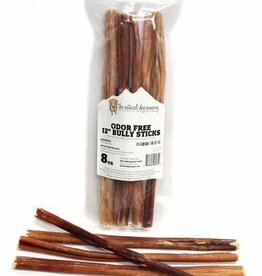 Made from 100% free-range South American beef pizzle, these 12in braided bully sticks are actually TWO standard bully sticks braided together for double durability! 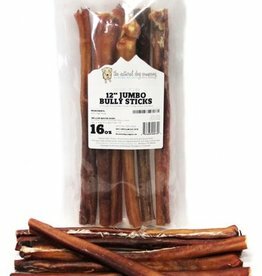 And due to their drying process, Natural Dog Company's bully braids are odor free. 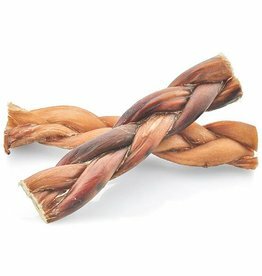 If you've got a power chewer that's 60lbs+, this is a great product for them! 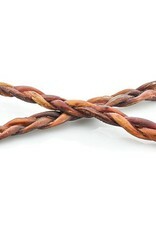 PRODUCT NOTE: On some bully braids, you may notice what looks like "string" or "fishing line" tying the ends together. 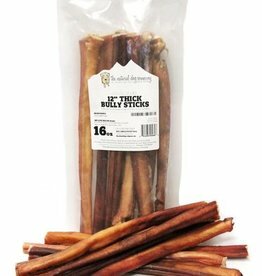 This is actually beef intestine fibers and are 100% safe for your pet(s) to ingest. It is not plastic, wire or string of any kind and is not harmful to your pets.